I have got to stop looking at eBay. 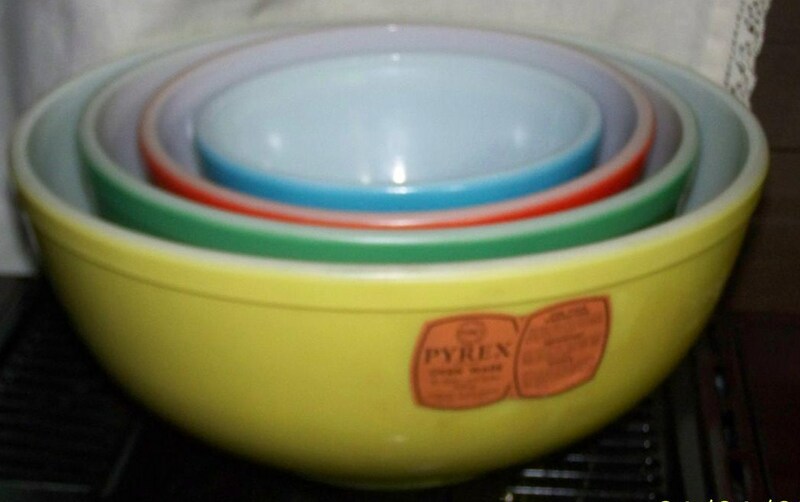 Here is a amazing set of the primary color Pyrex mixing bowls. With their sticker! Go look! I love it when minty mixing bowls show up with their original boxes or stickers still attached. How I wish that the cost of postage, had not gotten completely out of hand. 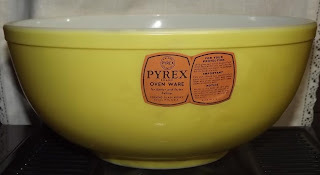 It is always a deciding factor, if I will bid on a item, by how much I am going to get nailed with in postage. Those are a nice set of bowls!!! Even with the shipping, these aren't too bad. Of course, they will most likely go for much more than they are at right now! I would be shocked it they don't. ~Ohhh lookie! I have a new ashtray! 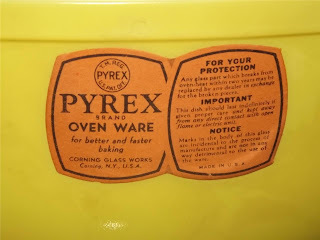 ~Vintage aprons.... and some pink Pyrex! Love those juice glasses! The Flintstones! I love the Holt Howard Kitties! Fun and odd things.... Minnie and Mickey! ~A little closer look at those Pink Bee's! Fun linen things... place-mat's for hot pots!